You'll be £19.99 closer to your next £10.00 credit when you purchase Korean Atrocity!. What's this? 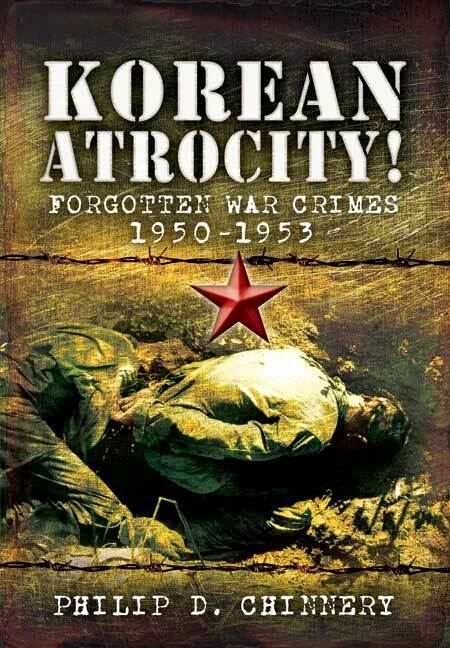 As there was no clear victor at the conclusion of the Korean War, no war crime trials were held. But, as this book reveals, there is evidence of at least 1,600 atrocities and war crimes perpetrated against troops serving with the United Nations command in Korea. The bulk of the victims were Americans but many British servicemen were tortured, killed or simply went missing. Much of the carefully researched material in this book is horrific but the stark truth is that those North Koreans and Chinese responsible went unpunished for their shameful deeds. Korean Atrocity examines the three phases of this little known but bitter conflict from the POWs’ perspective – the first phase when the two warring factions fought themselves to a stalemate, next, the treatment of POWs in North Korea and China, and finally the repatriation/post active conflict period. During the third phase it was realised that a staggering 7956 Americans and 100 British servicemen were unaccounted for. Many POWs were not released until two years after the end of hostilities. Bizarrely the US Government insisted on a news black-out on those left behind which raises questions as to what has been done to find the missing. This is a shocking, sobering and thought-provoking book.